With the outstanding success of his sold-out releases The Egg Inspector, Emmie’s Catch, Spilled Milk and Apple Girl, Morgan Weistling has found a home in the heart of the art world. 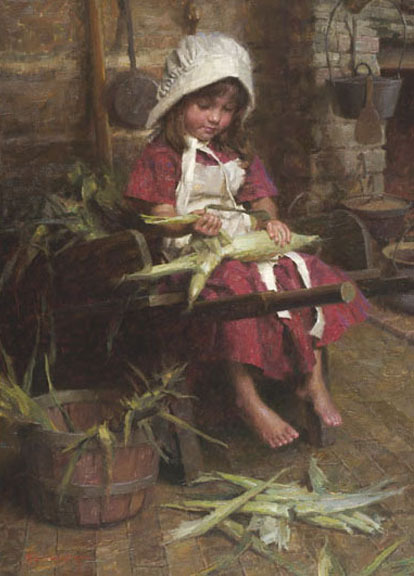 The sweet innocence of his subjects and Weistling’s skill as a painter combine to produce art that is as accomplished as it is irresistible. Emily’s Corn invites us to re-enter the warmth of the farmhouse kitchen.